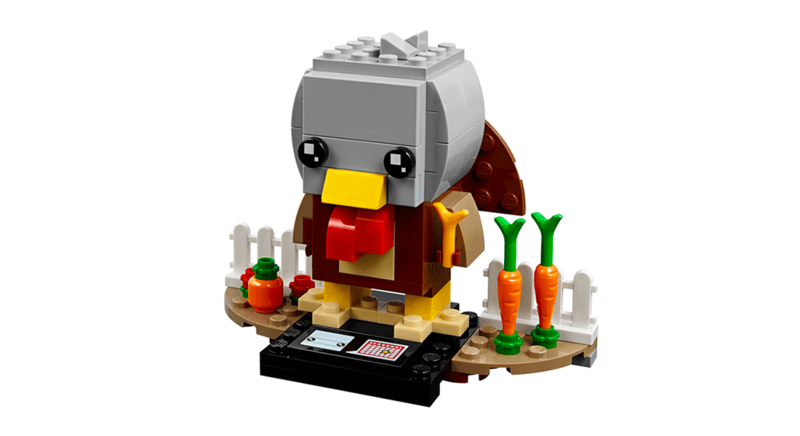 Lego 40273 Thanksgiving Turkey Brickheadz 火雞正式發佈, 這是以感恩節 ( Thanksgiving Day ) 推出的節日Brickheadz. 將會在10月1日正式上市. 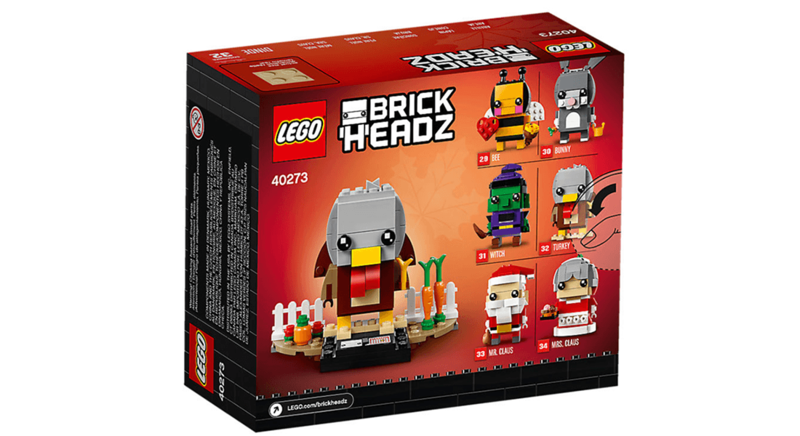 Lego 40273 Thanksgiving Turkey Brickheadz 火雞屬 Brickheadz Seasonal 節日系列. Lego 40273 編號為 Brickheadz Seasonal 32. 共有114件組件, 另外還有籬笆以及蔬果紅蘿白及南瓜作背景. 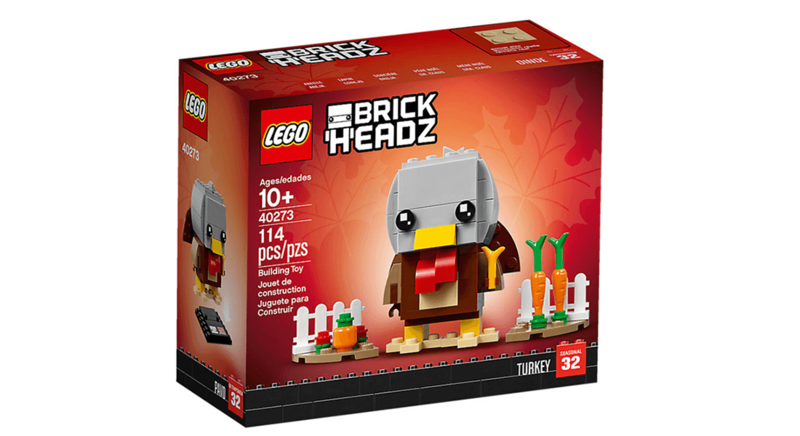 Lego 40273 Thanksgiving Turkey Brickheadz 將會在10月1日正式上市, 售價為US$9.99.